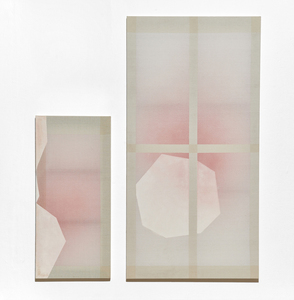 Sophis Gallery presents Seungean Cha solo exhibition, Seundja Helen from April 05 through 10 May. 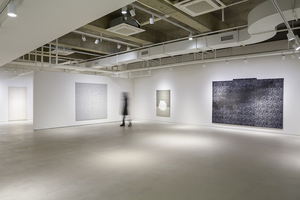 In conjunction with Cha’s 2014 exhibition titled Agnes & Seungwhans, she displays various canvases that were weaved by the artist herself over 2016-2017 through the show. 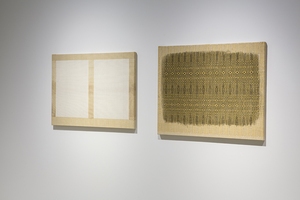 Inspiring from the two women artists, Seunjda Lee, Korean artist working mainly in France and Helen Frankenthaler, one of American Abstract-Expressionists, Cha has developed her own way of Jacquard Weave. 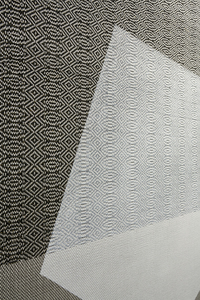 After dying the weft and warp threads, she builds up the abstract patterns on the plane by weaving the threads and ultimately accumulates the various layers of times on canvases. Seungean Cha was born in 1974 and graduated from Hongik University, Seoul. She acquired her master degrees from Hongik University, Seoul in Industrial Crafts, and also from The Art Institute of Chicago, Chicago in Paintings. 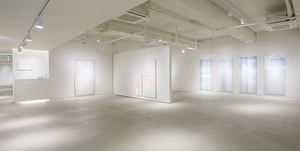 Since 2011, she has participated in various exhibitions including Seundja Helen, Sophis Gallery, Seoul (Solo, 2017), Crossing Plain: Unit, Layer, Nostalgia, Ilmin Museum of Art, Seoul (2015), Agnes and Seunghwans, Salon de H, Seoul (Solo, 2014), Lesson for Mundi Vita, Seoul Museum of Art, Seoul (2014), etc. I create paintings through weaving method in reference to Korean and Western modern abstract paintings. I intend to revisit the era of Korean abstract art in 1960-70s and examine how the Western style, which was introduced without historical context, was defined in Korea, and discover the conditions to update the current issues. Now, as we experience the past as vivid as the present and flattened space and time due to the effects of various media including smart devices, is the time to rearrange the past with time and experience that are entwined due to rapid modernization. Weaving is the kind of method that has set time sequence that is incapable of rapid growth. I chose it as the method to realize the topic, in the sense that it won’t proceed to the next step without going through the time and process. Using my own hands to weave the canvas, I dye the weft and warp threads, build patterns by inserting colored threads, or paint on the complete canvas in reference to the icon in abstract painting. I would like to examine what was defined too soon in the past and what the abstract paintings that are meaningful now are by incarnating the image of handicraft labor, the loom, that can’t skip over time.